College is the first major step in an individual’s life. It teaches a person to be self reliant and independent. 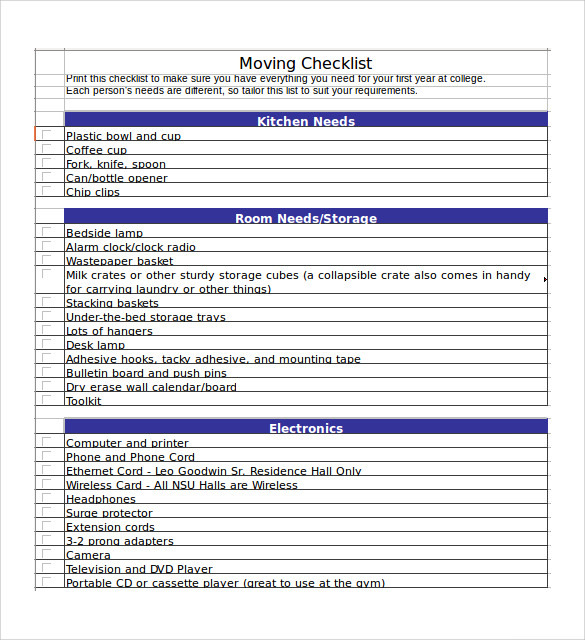 Moving away from home is a big step which requires a lot of preparation. 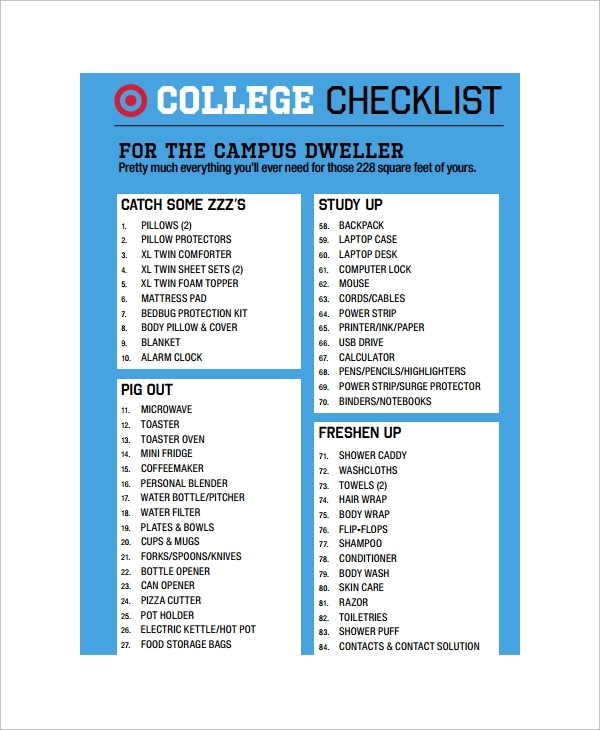 A college checklist template can come in really handy under such circumstances. 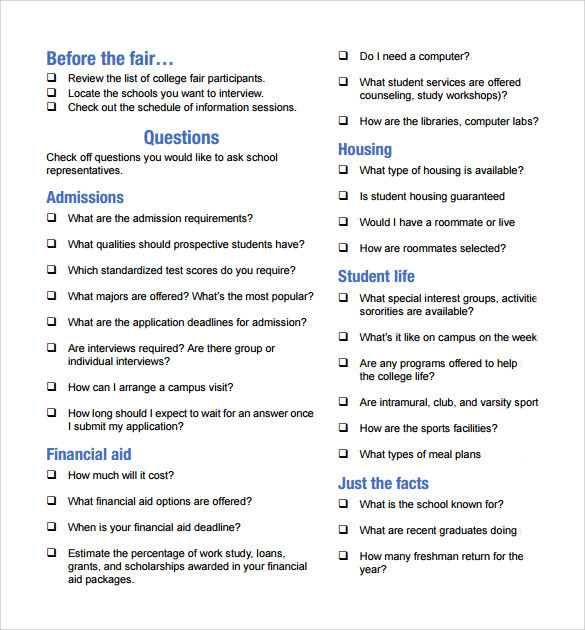 Before you prepare your checklist be aware of the fact that not all colleges allow everything. There are some items which shall be provided and others which you need to carry. 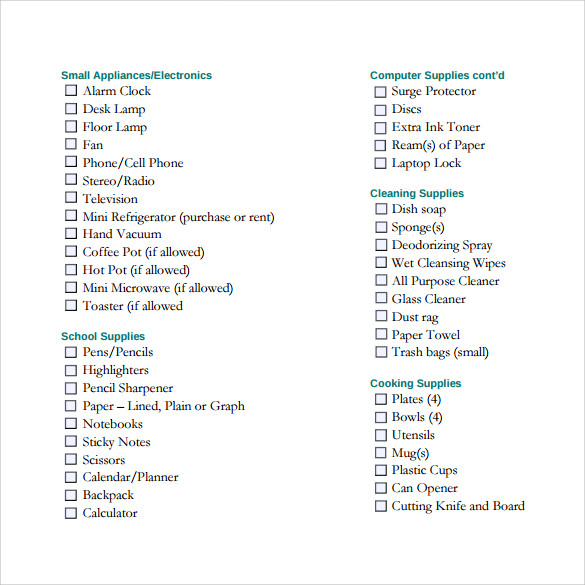 The checklist templates given below can help to manage your preparations well. You may like Maintenance Checklist Templates. 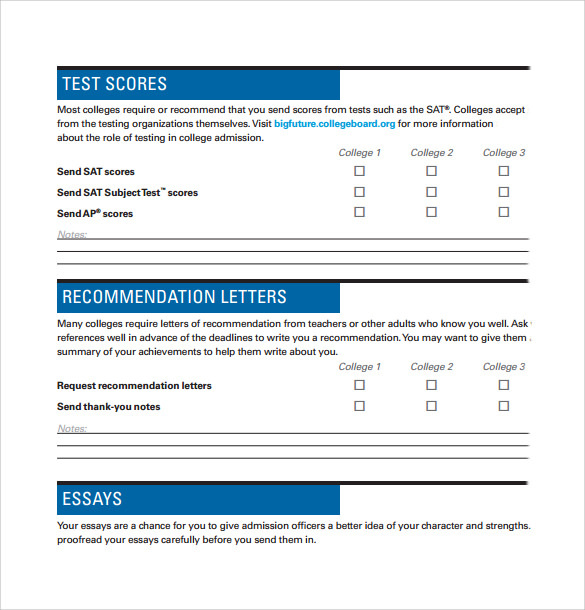 This sample of college list template is designed to help you keep track of all the materials that you shall need before going to college. 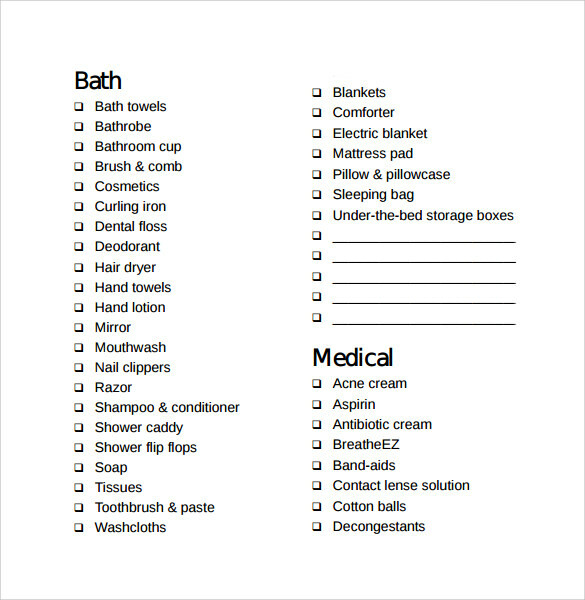 The template is divided into various broad segments like toiletries, desk items, closet items etc. 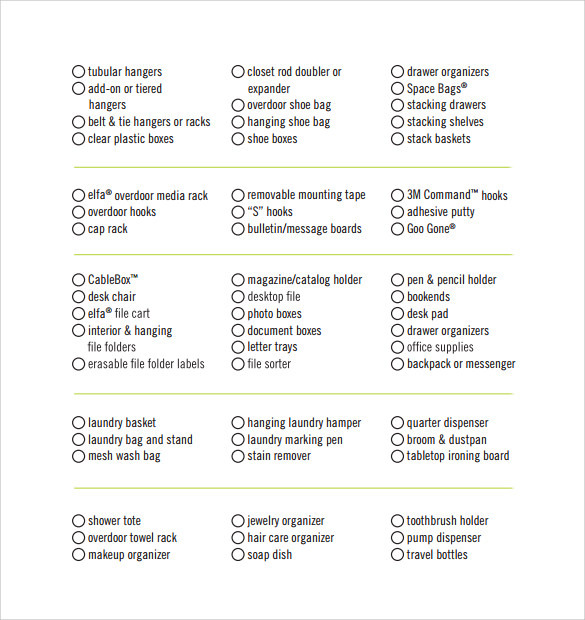 there are several small items listed below the major subheads which you can tick as you pack them. Creating a normal checklist is often quite easy, however if you are in charge of a large project and need to execute it, it is important that you take a more professional approach to certain things. A typical project checklist template divides the entire work sheet in five major parts, namely planning, execution, monitoring, controlling and closing. If you wish you can add on to this list or subtract as per need. Teaching is a very noble job and definitely not an easy one. 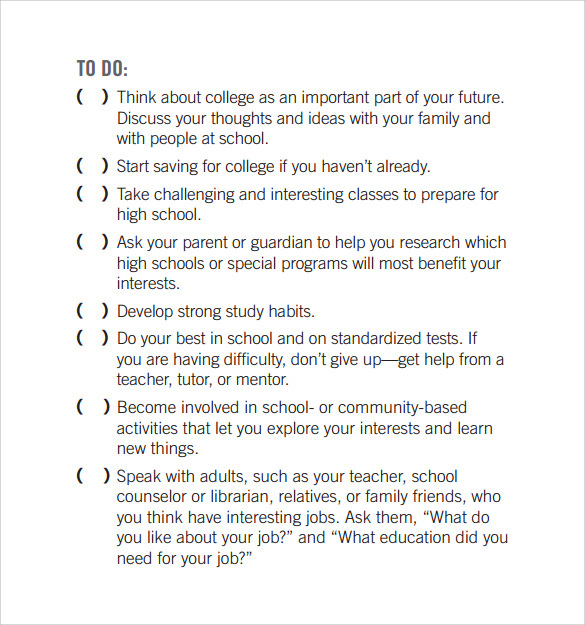 In order t ensure that your students receive an all round development, it is important that you maintain a checklist for the tasks you need to accomplish. 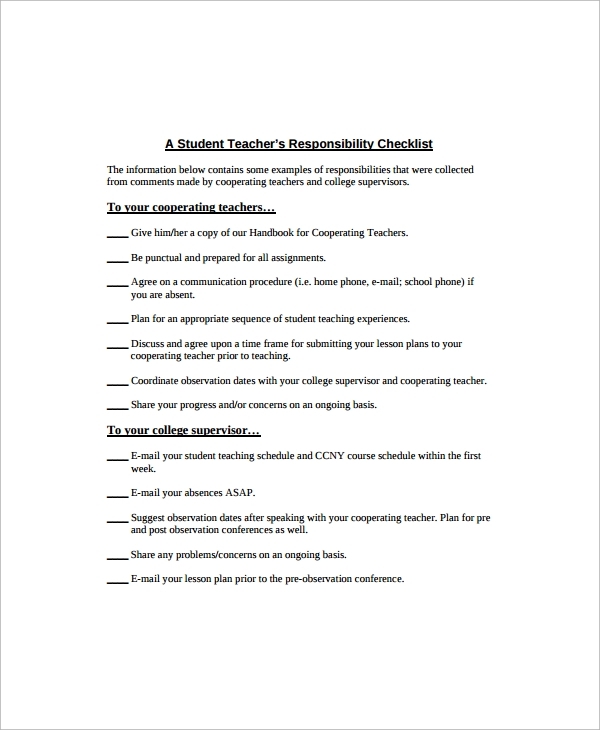 The checklist for a teacher can be divided into sections pertaining to students work, special areas of instruction, physical instruction and parent communication. 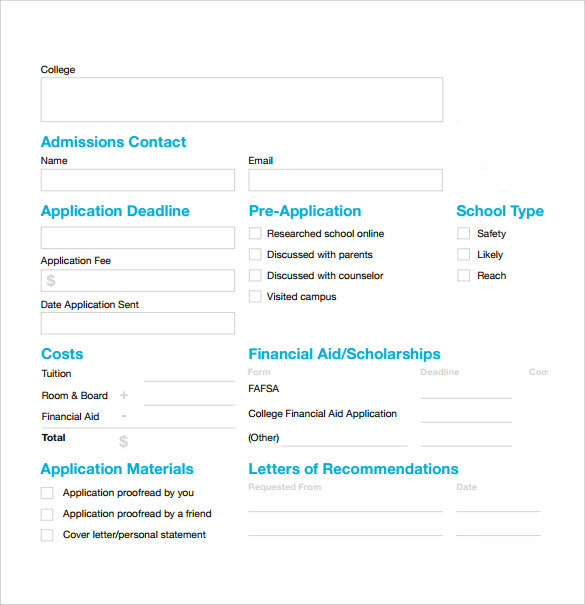 The list is editable and can be modified as per need. Should I live in a college hostel or live separately in my private accommodation? Staying in the college hostel has many advantages and a few disadvantages. Most college hostels are pretty basic and lack provision for any luxury. Students are required to share their accommodation which is may not be a pleasant experience for many. On the positive note, college hostels are located very close to the campus. You can always count on your friends and roommates for any kind of help. The experience of living in a hostel is fascinating and plays a big role in shaping your future. What can be the best tips and guidelines for a final year student for his project? If you are planning to get a job after your final year examinations, it is important that you learn to use academic projects to your advantage. Try to stay up to date with the latest technology, read new books and journals related to your field instead of sticking just with your subject matter. Improve your non technical skills and try to strengthen your basics. You may also like Audit Checklist Templates. How do you become a good teacher? Becoming a good teacher is not an easy task. If you really want the welfare of your students it is important that you come prepared to the class regarding your subject. Plan your lessons in advance and instead of sticking to boring lessons, try to have a session which is filled with activity. Lastly pay attention to every single child as each one of them have different needs and requirements. You may also like Chruch Budget Templates. 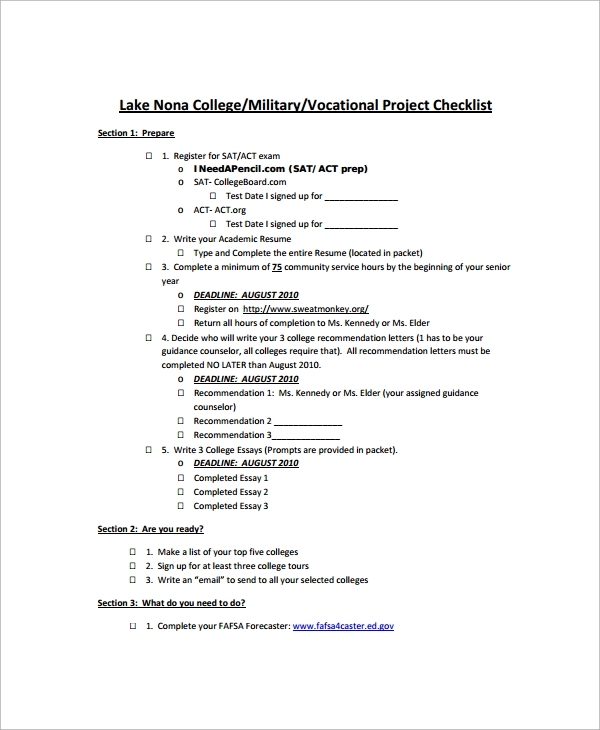 A checklist template is a good and very simple way to ensure that you do not miss out on any important task. It helps to minimize errors and helps to get the task accomplished in the minimum span of time. 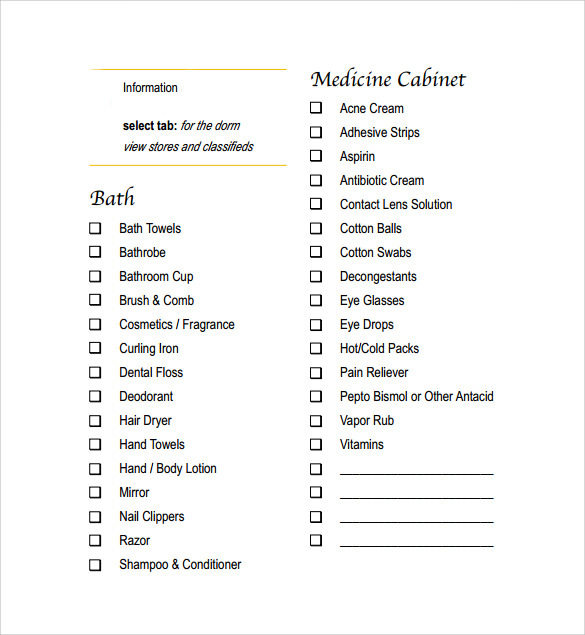 You can use the above given samples to create a customized checklist for managing your day to day affairs.